Teresa contacted us this morning in need of some emergency assistance for their organization. Upon calling her, she informed us that their IT individual that was a volunteer worker in their organization was leaving and was “disgruntled”. In the communications with that individual, the person noted that the domain name, website, and e-mail accounts that they had would all be terminated since they had originally paid for them (and was tied to their personal accounts). Because of this, Teresa needed some immediate assistance to take a backup copy of the website, get new e-mail accounts setup, new hosting, and a new domain name. Immediately after speaking with Teresa, BsnTech Networks acted quickly to ensure we got a copy of the website before it was removed. We then made some very slight modifications to the site to ensure the e-mail address was updated to their new e-mail accounts, got the domain name registered, setup the web hosting, and created their e-mail accounts. Within less than an hour after our conversation, Teresa was 100% fully up and running with a completely new set of services that they own and now control themselves to ensure that this doesn’t happen to their organization again. Thank you Serenity Care Center and Teresa for entrusting BsnTech Networks to get your emergency website services up and online! 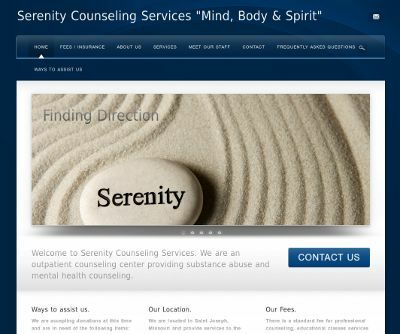 The Serenity Care Center website is at serenitycarecenter.org.